The new release from Ellen Hutson today inspired me! 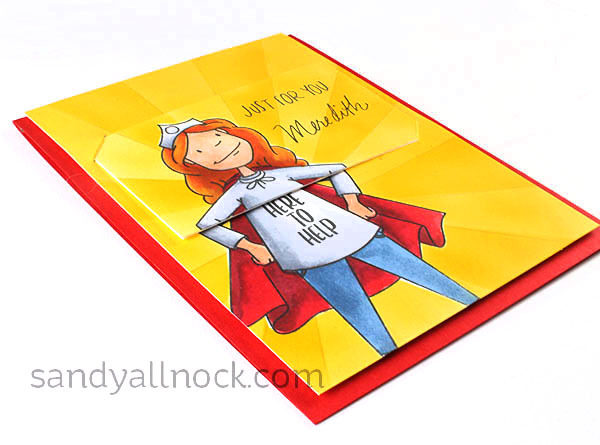 A friend at church has been sick for a few weeks – and that inspired me to make this card when I saw I could make this Everyday Hero wear a “Here to Help” sweatshirt! I used Copic airbrush for the background….see how when you watch the video below or click HERE to see it in HD on YouTube. 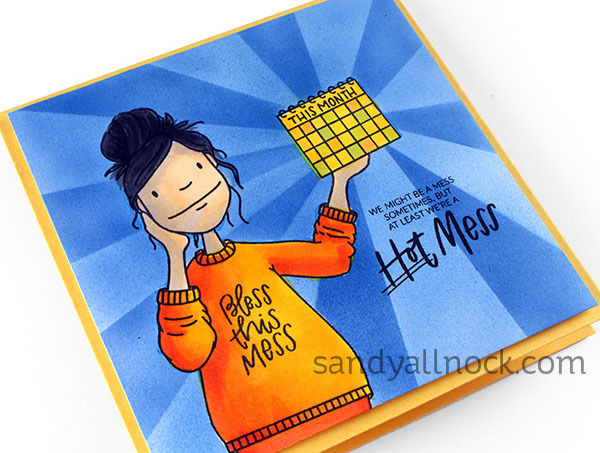 I used the same background technique with the Hot Mess Lady…cute eh? Lovely card and the thoughtfulness of your act will be appreciated, I’m sure. I broke my arm a few years ago (long surgery, lots of hardware), and my amazing friends brought meals, washed my sheets and made my bed, things that I couldn’t do with one arm. Before I was given the ok to drive, they took me to lunch, PT, shopping, etc. Since my husband was working long hours, it was really helpful for us both. What a great idea! 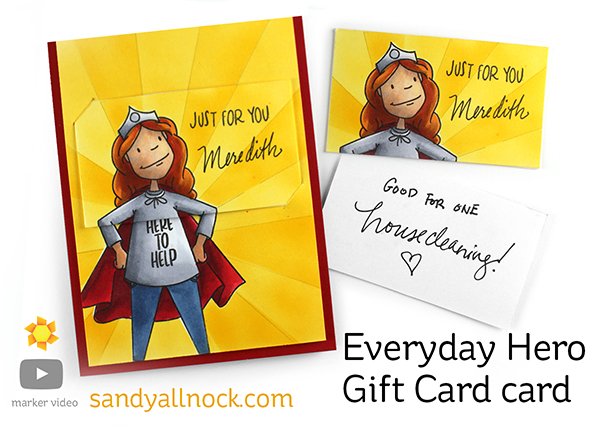 We all know someone who needs a favor – or someone who’s done a favor for us, and now needs to be repaid! Both of these cards are very dynamic with the airbrushed background – love to watch you do that. So smoooooth!